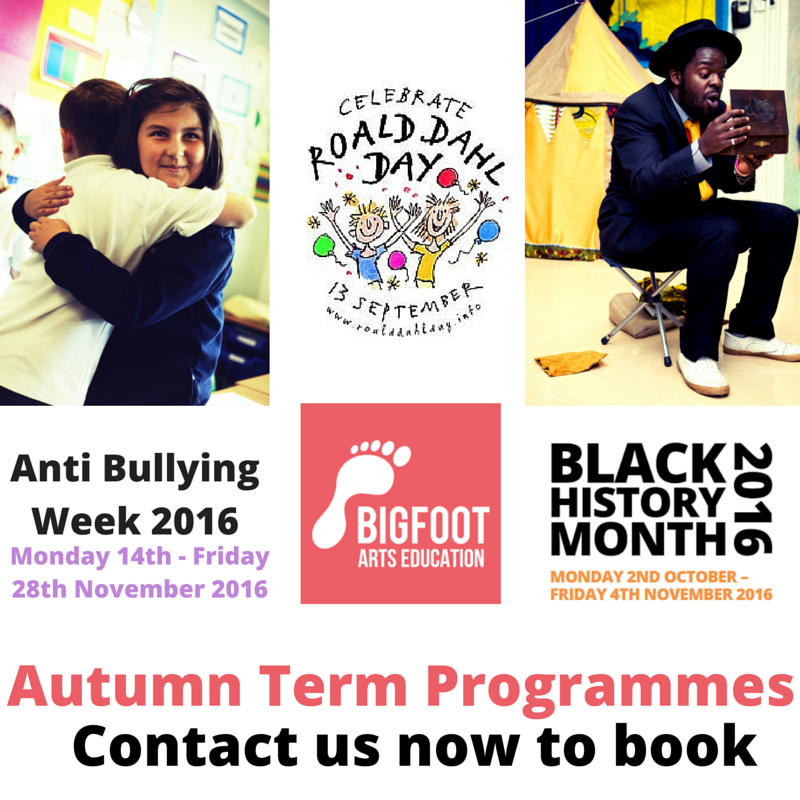 Join Bigfoot this Autumn as we have a range of programmes and workshops to offer. 2016 marks 100 years since the birth of Roald Dahl – the world’s number one storyteller! 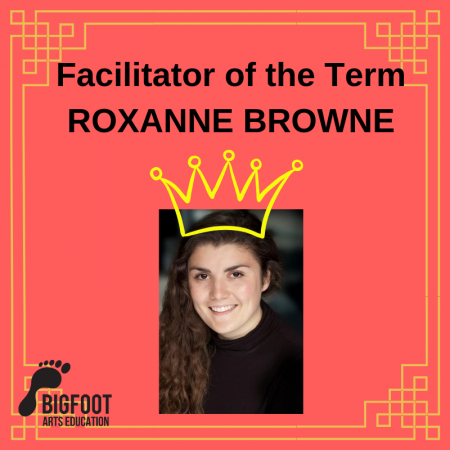 Join Bigfoot’s new librarian, Beatrice, as she embarks on an interactive story exploration to learn all about some of Dahl’s most popular stories. 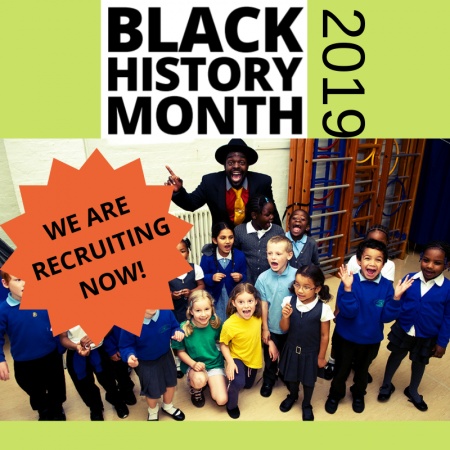 Energy, enthusiasm and entertainment…Bigfoot’s enigmatic facilitators have it all in abundance and are ready to visit your school to help you celebrate Black History Month 2016. With cyber safety, friendship and respect assemblies and workshops designed for students in KS1 and KS2, as well as special storytelling experiences for EYFS, you need look no further! 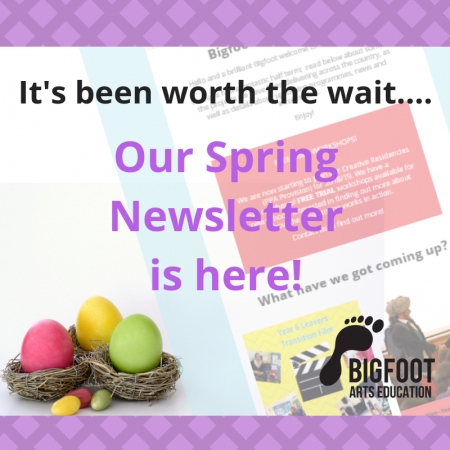 For more information about any of the above or to make a booking, please contact us by calling 0800 644 6034 or Email bookings@bigfootartseducation.co.uk and someone will be happy to help!